Welcome back to Day 3 of the September Challenge. I will keep posting daily all month on our #MakeTime for walking and to challenge you to start taking care of yourself each day. Someone asked why did I make the challenge, "Walk 1 mile a day," to start off? Honestly I just tossed out a number because I know that a mile can take someone 10 minutes to walk fast or even 30 minutes if they are new to walking. It is just a guideline. You can do whatever you want. 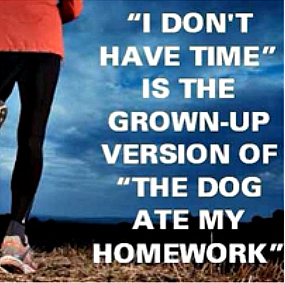 They key to this challenge is just to get you to pay attention to yourself and make time to move. It is time to get on a healthier lifestyle journey. If you have been moving each day, how is it going? Leave comments below and feel free to comment when others do, too. 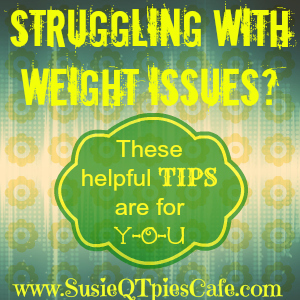 Here are some tips for those struggling with weight issues. I hope that they give you something to think about and are helpful. These tips are from Paula at Call Me PMc (click over and read her healthier lifestyle post) and I. Do you have some to share? If so, share below and we can add them to the list. Tips for those who are struggling with weight issues. Start with drinking 64+ oz of water this week. Literally, if you drink 64+ ounces of water per day, you won't have much room for junk. Don't say 'diet' and don't say "I'm not going to eat desserts anymore, ever!" Because when you do break down and eat one, you'll feel discouraged and give up. Relearn what an actual serving is. Measure if you have to. Start walking or light exercise just 15 minutes. Eat 4-6 smaller meals throughout the day. Start each day fresh. So if you over ate today start fresh tomorrow morning and DON'T wait another week to start back. Hang out online with others who are exercising and have healthy tips. The above photo came from fit_not_fat101 on Instagram and she shares and promotes healthy eating, thinking and training. Susie- I am back to healthy eating today after not doing well over the holiday weekend! I took one short walk today and hope to get another one in this evening, although I have a headache at the moment that is slowing me down!